01. Theme from "Love Story"
This LP had definitely seen better days. Found on a local flee market and purchased for a reasonable $1, this Slovenian (former Yugoslavia) issued LP sure gave me a hard time restoring it. 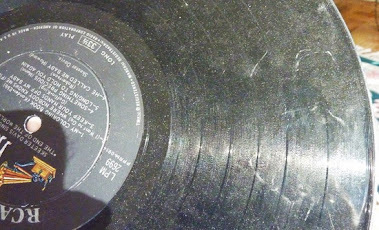 The last two tunes on B side, "Canzone d'amore" and "This is my song" were so badly damaged that even a multiple scans could not completely clean up the terrible scratches and other artifacts. "This is my song" also contains one nasty skip, but given the circuimstances I think it now sounds pretty decent. I think the LP was either played with improper needle, bad needle, improper tracking force or tone arm/cartridge being totally out of alignment (end tracks on both sides are considerably more damaged than others) or some abrasive material had damaged the grooves. On most tunes some "clicks" and "pops" are still audible. However, additional filtering would compromise the high frequencies and the music would not be as enjoyable. 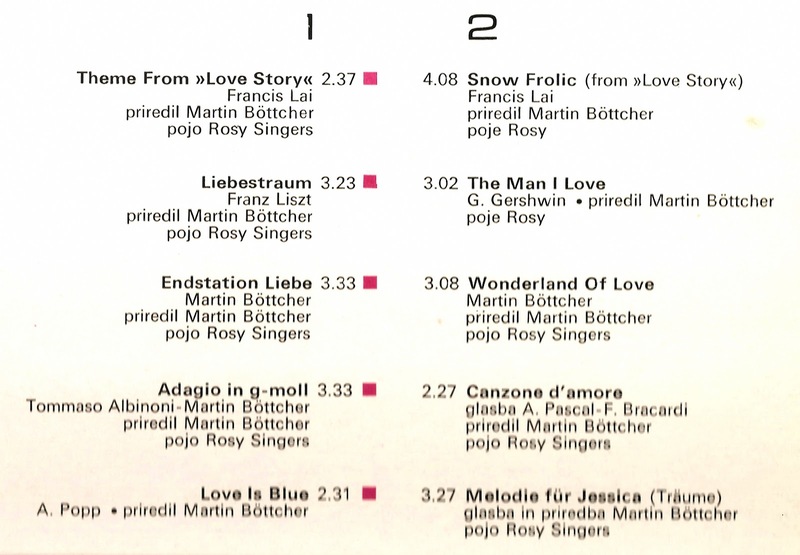 In any case, this is possibly the finest "Love Collection" when it comes to Martin Böttcher's opus. Every tune is masterfully arranged and produced. 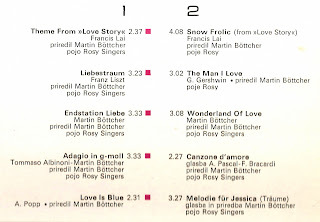 Even though most (but not all) of these tracks can be now found re-issued on CD this LP has its unique value just because of the excellent song choice. 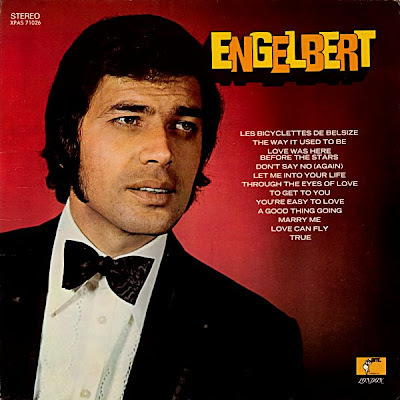 Engelbert is a classy and respectable album from the adult contemporary singer featuring one of his three hits from 1968, "Les Bicyclettes de Belsize," with music direction from Les Reed. It's not as easily recognizable as his other eight Top 40 entries, and just bubbling under the Top 30, it was the second-weakest showing of his nine-song chart run. 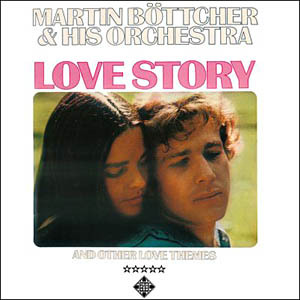 By the same token, Burt Bacharach and Hal David's "Love Was Here Before the Stars" isn't their most familiar melody, but with Peter Sullivan's perfect production, and again with Les Reed as musical director, it works for the audience who bought this stylish romantic music. 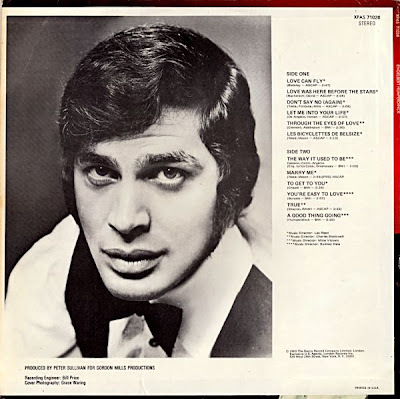 More than a dash of echo embellishes the voice on "Don't Say No (Again)," along with some pretty bells and laid-back accompaniment, giving Humperdinck the platform to display his smooth and strong vocal prowess. The formula works on all 12 selections, with "Let Me Into Your Life" another consistent trademark album track. Charles Blackwell handles the musical direction on "Through the Eyes of Love," while Mike Vickers does the same with "The Way It Used to Be," Roger Cook and Roger Greenaway writing some English lyrics for the Argenio/Piero Cassano/Conti melody. A fourth music director, Sydney Dale, is brought in for "You're Easy to Love," while Mike Vickers helps Engelbert out on his own composition, "A Good Thing Going." It's not the best tune on the album, and certainly didn't cause the team of Reed and Mason (who composed the hit here along with "Marry Me" ) to lose any sleep, but with the strong production and impeccable middle-of-the-road sound it blends in perfectly.